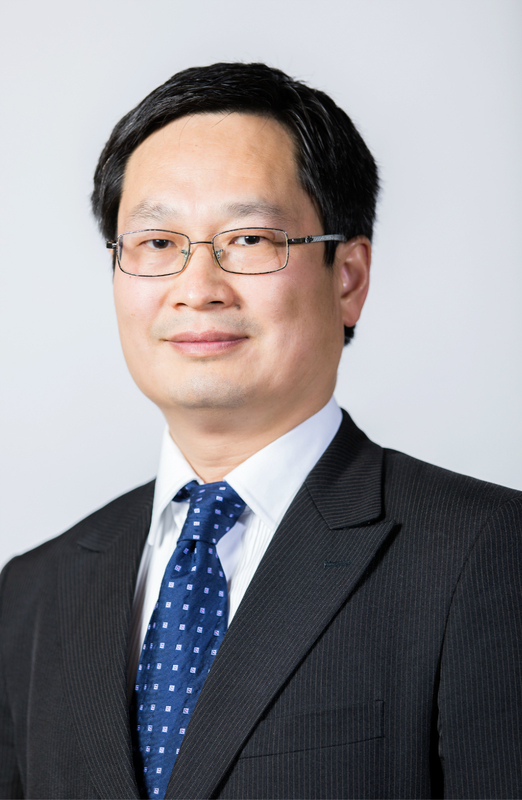 Dr Chen's research is focused on biomaterials, biomedical engineering, and the application of nanomaterials in biology and medicine. In these areas, he has been working on physical (microneedle & nanoneedle arrays) and chemical (nanomaterials) for drug delivery and sensing. He has published over 90 papers in peer-reviewed journals including Nature Communications, Advanced Materials, Angewandte Chemie International Edition, Advanced Functional Materials, Small, Advanced Healthcare Materials, Journal of the American Chemical Society, Nano Letters, ACS Nano, Biomaterials, Journal of Controlled Release, Advanced Drug Delivery Reviews, and Chemical Society Reviews. These publications generated an h-index of 40 and > 3700 citations. Additionally, he has 2 book chapters and 9 granted patents & 18 patent applications in drug delivery technologies in major countries and regions, mosted in the USA and Europe. Broadly, our research areas of interest include advanced drug delivery systems, biomaterials, biomedical engineering, materials chemistry, and nanomaterials & nanotechnology. We carry out research spanning from materials design, synthesis, and characterisation to preclinical in vitro and in vivo test as well as understanding the underlying biological mechanisms. We welcome outstanding PhD applicants to join our group. The University of Edinburgh and the School of Engineering provide PhD scholarships for exceptional applicants. We also welcome the applicants who have alternative funding support. X Chen*, Current and future technological advances in transdermal gene delivery, Advanced Drug Delivery Reviews, 127, 85-105, 2018. N Wang, ZG Wang, ZF Xu, X Chen, G Zhu, A cisplatin-loaded immuno-chemotherapeutic nanohybrid bearing immune checkpoint inhibitors for enhanced cervical cancer therapy, Angewandte Chemie International Edition, 57(13), 3426-3430, 2018. X Chen*, WJ Zhang*, Diamond nanostructures for drug delivery, bioimaging, and biosensing, Chemical Society Reviews, 46, 734-760, 2017. SH Liu, Y Fu, GJ Li, L Li, HKW Law, X Chen*, F Yan*, Conjugated polymer for voltage-controlled release of molecules, Advanced Materials, 29(35), article number 1701733, 2017. L Yan, MJ Zhou, XJ Zhang*, LB Huang, W Chen, VAL Roy, WJ Zhang*, X Chen*, A novel type of aqueous dispersible ultrathin layered double hydroxide nanosheets for in vivo bioimaging and drug delivery, ACS Applied Materials & Interfaces, 9(39), 34185-34193, 2017. L Yan, X Chen*, ZG Wang, XJ Zhang, XY Zhu, MJ Zhou, W Chen, LB Huang, VAL Roy, PKN Yu, G Zhu, WJ Zhang*, Size controllable and surface tunable zeolitic imidazolate framework-8 (ZIF-8)-poly(acrylic acid sodium salt) (PAAS) nanocomposites for pH responsive drug release and enhanced in vivo cancer treatment, ACS Applied Materials & Interfaces, 9(38), 32990-33000, 2017. L Yan, ZG Wang, X Chen*, XJ Gou, ZY Zhang, XY Zhu, MH Lan, W Chen, G Zhu, WJ Zhang*, Firmly anchored photosensitizer Chlorin e6 to layered double hydroxide nanosheets for highly efficient photodynamic therapy, Chemical Communications, 53, 2339-2342, 2017. XY Nan, XJ Zhang*, YQ Liu, MJ Zhou, X Chen*, XH Zhang*, Dual-targeted multifunctional nanoparticles for magnetic resonance imaging guided cancer diagnosis and therapy, ACS Applied Materials & Interfaces, 9 (11), 9986-9995, 2017. Y Wang, Y Yang, L Yan, SY Kwok, W Li, ZG Wang, XY Zhu, GY Zhu, WJ Zhang*, X Chen*, P Shi*, Poking cells for efficient vector-free intracellular delivery, Nature Communications, 5, article number: 4466, 2014. MJ Zhou, XJ Zhang*, CT Yu, XY Nan, X Chen*, XH Zhang, Shape regulated anticancer activities and systematic toxicities of drug nanocrystals in vivo, Nanomedicine: Nanotechnology, Biology, and Medicine, 12(1), 181-189, 2016. JF Zhang, YN Li, FF An, XH Zhang, X Chen, CS Lee, Preparation and size control of sub-100 nm pure nanodrugs, Nano Letters, 15(1), 313-318, 2015. JF Zhang, XD Lin, XY Zhu, L Yan, SL Li, X Yang, P Shi, AL Rogach, GY Zhu, XH Zhang, X Chen, WJ Zhang, CS Lee, Self-monitoring and self-delivery of photosensitizer-doped nanoparticles for highly effective combination cancer therapy in vitro and in vivo, ACS Nano, 9(10), 9741-9756, 2015. CT Yu, MJ Zhou, XJ Zhang*, WJ Wei, X Chen*, XH Zhang*, Smart doxorubicin nanoparticles with high drug payload for enhanced chemotherapy against drug resistance and cancer diagnosis, Nanoscale, 7, 5683-5690, 2015. L Yan, JF Zhang, CS Lee, X Chen*, Micro- and nanotechnologies for intracellular delivery, Small, 10(22), 4487-4504, 2014. L Yan, W Chen, XY Zhu, LB Huang, ZG Wang, GY Zhu, VAL Roy, KN Yu, X Chen*, Folic acid conjugated self-assembled layered double hydroxides nanoparticles for high-efficacy-targeted drug delivery, Chemical Communications, 49, 10938-10940, 2013. RR Xu, LM Huang, X Chen*, WJ Wei, XH Zhang, XJ Zhang*, Real-time imaging and tracking of ultrastable organic dye nanoparticles in living cells, Biomaterials, 93, 38-47, 2016. MH Lan, JF Zhang, PF Wang*, X Chen*, CS Lee, WJ Zhang*, Highly stable organic fluorescence nanorods for living cell imaging, Nano Research, 8(7), 2380-2389, 2015. J Yu, XJ Zhang*, XJ Hao, XH Zhang, MJ Zhou, CS Lee*, X Chen*, Near-infrared fluorescence imaging using organic dye nanoparticles, Biomaterials, 35, 3356-3364, 2014. J Yu, XJ Diao, XJ Zhang, X Chen, XJ Hao, et al., Water-dispersible, pH-stable and highly-luminescent organic dye nanoparticles with amplified emissions for in vitro and in vivo bioimaging, Small, 10(6), 1125-1132, 2014. YQ Zhao, YL Zhang*, JA Huang, X Chen*, WJ Zhang*, Plasmonic nanopillar array embedded microfluidic chips: an in-situ SERS monitoring platform, Journal of Materials Chemistry A, 3, 6408-6413, 2015. HQ Huang, R Chen, L Yan, YQ Zhao, WJ Zhang*, J Fan*, X Chen*, Graphitic carbon nitride solid films for selective and recyclable sensing of Cu2+ and Ag+ in water and serum, Chemical Communications, 50, 15415-15418, 2014. YQ Zhao, JA Huang, X Chen*, WJ Zhang*, Quantitative analysis of multiplex-components and double stranded DNA by wide-range surface-enhanced Raman spectroscopy based on ordered Ag/Si nanowire arrays, Journal of Materials Chemistry A, 2, 10218-10224, 2014. MH Lan, JF Zhang, YS Chui, PF Wang, X Chen, CS Lee, HL Kwong, WJ Zhang, Carbon nanoparticles based ratiometric fluorescent sensor for detecting mercury ions in aqueous media and living cells, ACS Applied Materials and Interfaces, 6(23), 21270-21278, 2014. XJ Zhang, JS Jie, W Deng, QX Shang, JC Wang, H Wang, X Chen, LM Huang, XH Zhang, Alignment and patterning of ordered small-molecule organic semiconductor micro/nanocrystals for device applications, Advanced Materials, 28(13), 2475-2503, 2016. M Zhang, YH Zhao, L Yan, WL Hui, X Yao, YL Cui, X Chen, H Sun, Z Wang, Interface engineering of bimetallic Ag/Pt nanoparticles on reduced graphene oxide matrix for enhanced antimicrobial activity, ACS Applied Materials & Interfaces, 8, 8834-8840, 2016. W Li, RC Luo, XD Lin, AD Jadhav, ZC Zhang, L Yan, CY Chan, X Chen, JF He, CH Chen, P Shi, Remote modulation of neural activities via near-infrared triggered release of biomolecules, Biomaterials, 65, 76-85, 2015. ZG Wang, R Ma, L Yan, X Chen, G Zhu, Combined chemotherapy and photodynamic therapy using a nanohybrid based on layered double hydroxides to conquer cisplatin resistance, Chemical Communications, 51, 11587-11590, 2015. R Ma, YP Wang, L Yan, LL Ma, ZG Wang, HC Chan, SK Chiu, X Chen, GY Zhu, Efficient co-delivery of Pt(IV) prodrug and p53 activator to enhance the anticancer activity of cisplatin, Chemical Communications, 51, 7859-7862, 2015. L Yan, AP Raphael, XY Zhu, BL Wang, W Chen, T Tang, Y Deng, HJ Sant, G Zhu, KW Choy, BK Gale, TW Prow, X Chen*, Nanocomposite strengthened dissolving microneedles for improved transdermal delivery to human skin, Advanced Healthcare Materials, 3(4), 555-564, 2014. LB Huang, Y Zhou, ST Han, Y Yan, L Zhou, W Chen, P Zhou, X Chen, VAL Roy, Controlled assembly of silver nanoparticles monolayer on 3D polymer nanotubes and their applications, Small, 10(22), 4645-4650, 2014. W Chen, C Wang, L Yan, LB Huang, XY Zhu, B Chen, HJ Sant, XR Niu, G Zhu, KN Yu, VAL Roy, BK Gale, X Chen*, Improved polyvinylpyrrolidone microneedle arrays with non-stoichimetric cyclodextrin, Journal of Materials Chemistry B, 2, 1699-1705, 2014. L Yan, Y Wang, JH Li, S Kalytchuk, A Susha, SV Kershaw, F Yan, AL Rogach, X Chen*, Highly luminescent covalently bonded layered double hydroxide–fluorescent dye nanohybrids, Journal of Materials Chemistry C, 2, 4490-4494, 2014. B He, Y Yang, MF Yuen, X Chen, CS Lee, WJ Zhang, Vertical nanostructure arrays by plasma etching for applications in biology, energy and electronics, Nano Today, 8(3), 265-289, 2013. ML Crichton, X Chen, H Huang, MA Kendall, Elastic modulus and viscoelastic properties of full thickness skin characterized at micro scales, Biomaterials, 34(8), 2087-2097, 2013. AP Raphael, S Meliga, X Chen, GJ Fernando, et al., Depth-resolved characterization of diffusion properties within and across minimally-perturbed skin layers, Journal of Controlled Release, 166(2), 87-94, 2013. EYW Chong, CYP Ng, VWY Choi, Y Yang, WJ Zhang, KWK Yeung, X Chen*, KN Yu*, Diamond nanocone array for improved osteoblastic differentiation, Journal of Materials Chemistry B, 1, 3390-3396, 2013. X Chen, GJ Fernando, AP Raphael, et al., Rapid kinetics to peak serum antibodies is achieved following influenza vaccination by dry-coated densely packed microprojections to skin, Journal of Controlled Release, 158(1), 78-84, 2012. GJ Fernando, X Chen, CA Primiero, SR Yukiko, et al., Nanopatch targeted delivery of both antigen and adjuvant to skin synergistically drives enhanced antibody responses, Journal of Controlled Release, 159(2), 215-221, 2012. TW Prow, N Monteiro-Riviere, AO Inman, JE Grice, X Chen, X Zhao, et al., Quantum dot penetration into viable human skin, Nanotoxicology, 6(2), 173-185, 2012. X Chen, HJ Corbett, SR Yukiko, et al., Site-selectively coated, densely-packed microprojection array patches for targeted delivery of vaccines to skin, Advanced Functional Materials, 21(3), 464-473, 2011. ML Crichton, BC Donose, X Chen, AP Raphael, et al., The viscoelastic, hyperelastic and scale dependent behaviour of freshly excised individual skin layers, Biomaterials, 32(20), 4670-4681, 2011. X Chen, AS Kask, ML Crichton, et al., Improved DNA vaccination by skin-targeted delivery using dry-coated densely-packed microprojection arrays, Journal of Controlled Release, 148(3), 327-333, 2010. ML Crichton, A Ansaldo, X Chen, TW Prow, et al., The effect of strain rate on the precision of penetration of short densely-packed microprojection array patches coated with vaccine, Biomaterials, 31(16), 4562-4572, 2010. AP Raphael, TW Prow, ML Crichton, X Chen, GJ Fernando, MA Kendall, Targeted, Needle-free vaccinations in skin, using multilayered, densely-packed dissolving microprojection arrays, Small, 6(6), 1785-1793, 2010. AS Kask, X Chen, JO Marshak, L Dong, et al., DNA vaccine delivery by microprojections protects against vaginal HSV-2 challenge, Vaccine, 28(47), 7483-7491, 2010. We welcome outstanding PhD applicants to join our group to perform research in bioengineering, biomaterials, and the application of nanomaterials in biology, medicine, and healthcare. Except the research group funding, the following scholarships can be applied to support your study. These are just a few examples, rather than the full list. The School of Engineering also provides PhD scholarships for exceptional applicants. Currently, we have an EPSRC/MRC CDT scholarship for urgent application (Project 2: Imaging tumour macrophage polarisation for non-invasive evaluation of anticancer therapy). The applicants must be UK citizens or EU citizens who have been living in the UK for a minimum of 3 years. The deadline is 26/07/2018. Postdoctoral researchers are welcome to join the group to perform research in bioengineering, biomaterials, and the application of nanomaterials in biology, medicine, environment and energy. Outstanding applicants can consider the following fellowship (just a few examples).